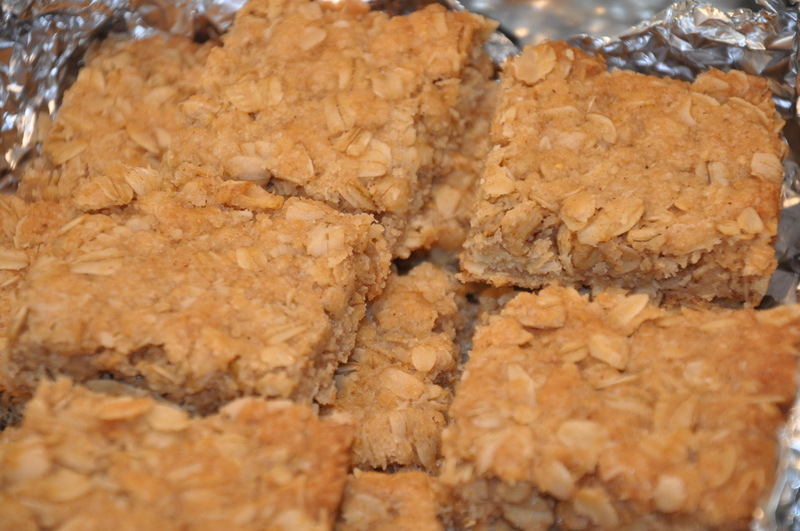 Also known as “Flapjacks” if you are British. As an American, we would probably call these “granola bars,” although as an American and a lover of granola bars, I’m not sure that they’re exactly the same. Maybe almost like a Nature Valley granola bar, the kind that are crunchy and not chewy, but these are still kind of chewy. I first had them at a Girl Scout Cookie Bake Sale. (Here in Zambia, the Girls Scouts aren’t allowed to sell “real” girl scout cookies, so they make their own). A Girl Scout troop blended from from England, South Africa, Germany, Zambia, Latin America, and the U.S. (to name only a few) makes for a pretty interesting Bake Sale! My favorite were the Crunchies. 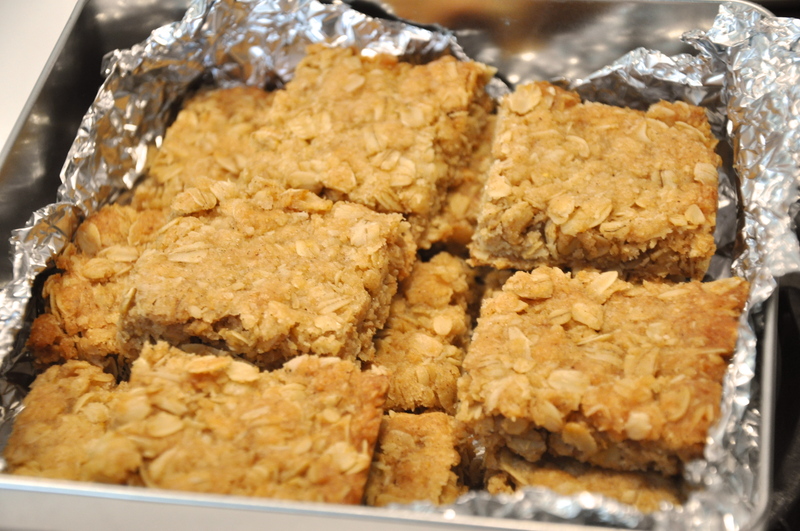 Crunchies are the South African version of these crunchy granola oatmeal bars. Here in Zambia they are sold at every grocery store, bakery and coffee shop, apparently as iconic as the Chocolate Chip Cookie. 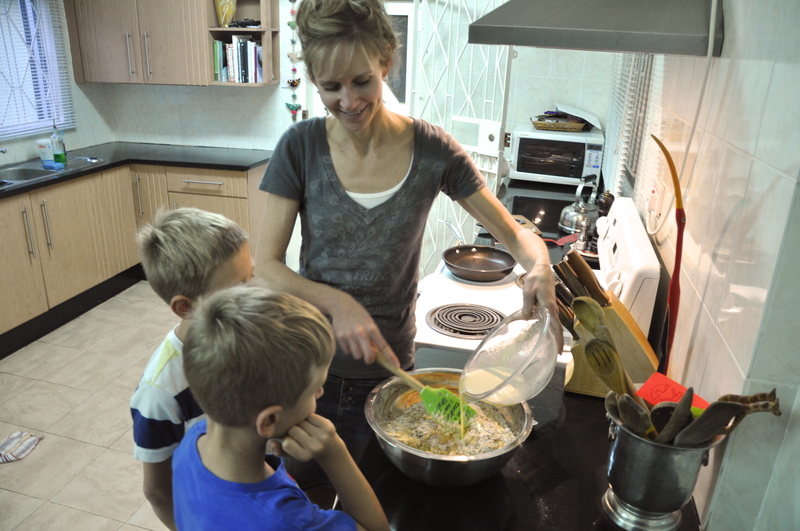 I like them enough that I learned how to make them myself, and am happy to add another cookie to the list of recipes that remind me of Jake’s and Eli’s childhood, and of our life overseas. We are, after all, living in Southern Africa. Thank goodness or I might have never had a Crunchie! This is an extremely easy and fast recipe, one I found on a blog by a South African baker names Orna. 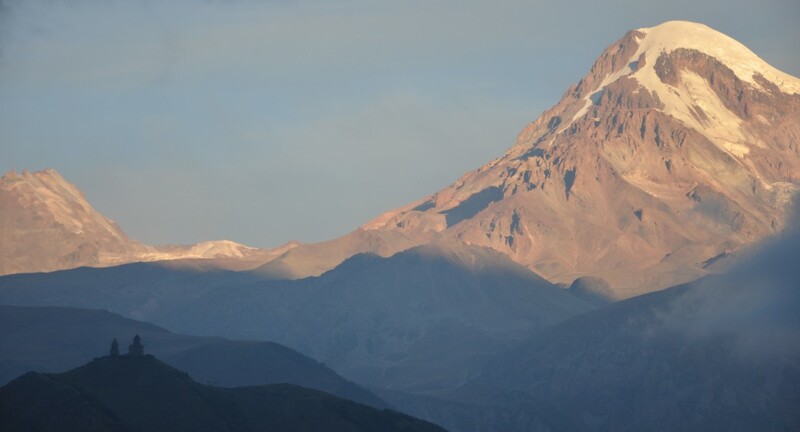 Ornabakes.com. Thank you, Orna! I know how to make really good Crunchies now and we are going to take them camping this weekend. 3 tablespoons Golden Syrup. This is a British/South African product. You can substitute honey or lite Karo syrup, although I don’t think the results will be exactly the same. You might be able to find “Golden Syrup” at a British specialty shop. Prepare a 10 x 15 jelly roll pan. Line with foil and spray with cooking spray. 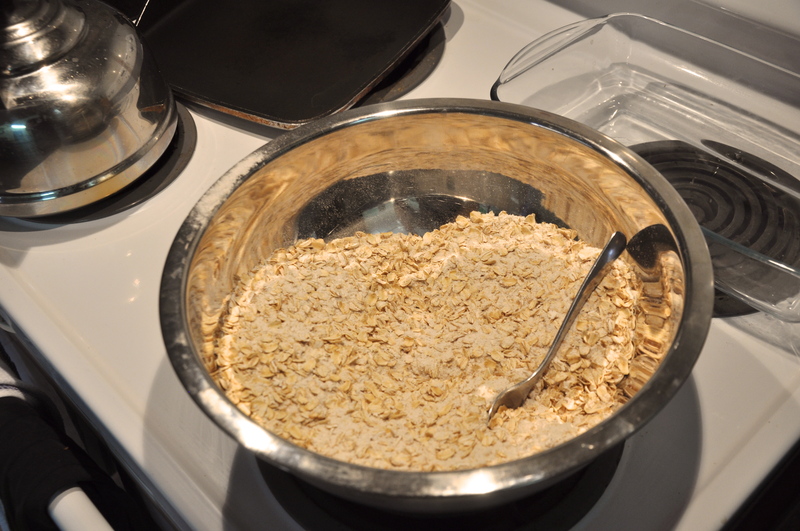 In a large bowl, mix oats, coconut, flour, sugar, salt, and cinnamon. Mix milk and baking soda, making sure the baking soda completely dissolves. Add the melted butter mixture and the milk to the dry ingredients. Stir it with a big spoon until everything is mixed. 7. 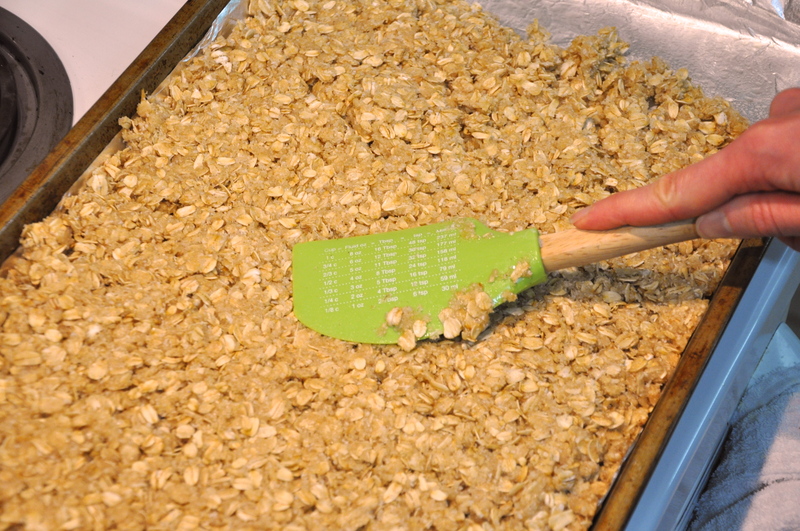 Tip the oat mixture into the prepared pan and spread it evenly, pressing down with the back of the spatula to push it firmly into the pan. I read that this will help it cut better later, without breaking apart. 8. Bake for 20-30 minutes, until the oats start to turn golden brown. 9. Pull them out of the oven, let them cool about 10 minutes, and then cut them into squares while still warm. A serrated knife works best. Let them cool completely before removing from the pan. The nice thing about this recipe is that it makes a HUGE batch of cookies! And they are SO easy! This entry was posted in Recipes and tagged Baking, Cookies. Bookmark the permalink.